Natural vitamin D is elusive. This necessary nutrient is naturally found in just a handful of foods, but it can be found as an additive in many processed and packaged foods. Vitamin D is also available in supplement form. Fortunately, the average healthy person gets enough vitamin D from sun exposure and food, so deficiencies among healthy adults is uncommon. According to the Food and Nutrition Board of the Institute of Medicine of the National Academies (IOM), approximately 5–30 minutes of sun exposure between 10 AM and 3 PM at least twice a week to the face, arms, legs, or back without sunscreen usually lead to sufficient vitamin D synthesis. Moderate use of commercial tanning beds that emit two to six percent UVB radiation is also effective. 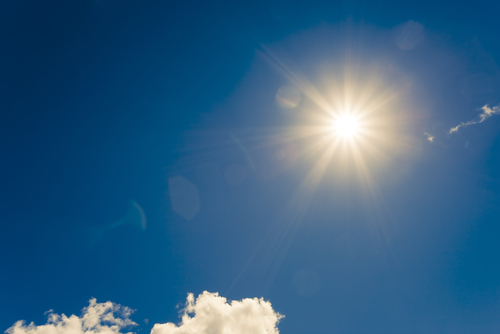 Individuals with limited sun exposure need to include good sources of vitamin D in their diet or take a supplement to achieve recommended levels of intake. 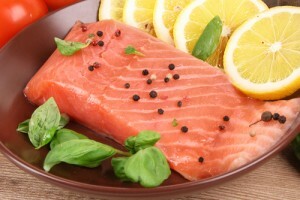 The best food sources of vitamin D are the flesh of fatty fish such as tuna, salmon and mackerel. 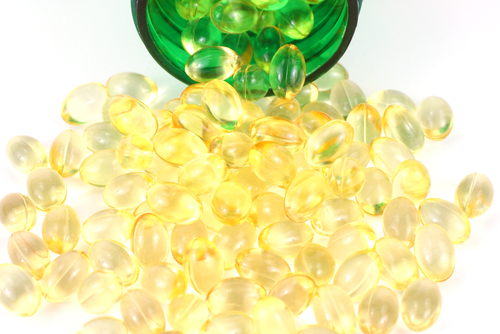 Fish liver oils, such as cod liver oil are also excellent sources. For example, one tablespoon of cod liver oil contains 1,360 IU (international units) of vitamin D. This is 340 percent of the recommended daily amount (RDA). Salmon, mackerel and tuna have 39-112 percent of the RDA. Small amounts of vitamin D can be found naturally in mushrooms, beef liver, egg yolks, and cheese. They contain anywhere from 2-15 percent of the RDA. Fortified foods contain vitamin D as well. Fortified milk, orange juice, yogurt, breakfast cereals, margarine, and soymilk contain anywhere from 10 to 31 percent of the RDA. For example, fortified cereal contains 10 percent of the RDA and soymilk contains 30 percent. Fortified milk averages 29 to 31 percent. Sun exposure and consumption through major and fortified food sources should provide enough vitamin D, so supplements are not usually necessary for healthy adults. However, vitamin D deficiency is possible, especially in the elderly population, obese people, exclusively breastfed babies, individuals with fat malabsorption syndromes, individual’s with inflammatory bowel disease, and individuals who have limited sun exposure. In these cases, a supplement may be necessary. While the consuming the right amount of vitamin D has many benefits, over consumption can be dangerous. Taking too much vitamin D can cause nausea, weight loss, and irritability. Severe side effects include mental and physical growth retardation, movement of calcium from bones into soft tissues, and kidney damage. For more information about vitamin D, visit the Office of Dietary Supplements, National Institutes of Health at http://ods.od.nih.gov/.